Throw everything into a large pot and bring to a boil. Once boiling lower heat to medium/medium low and let simmer covered for 1-2 hours. The lower the heat the longer this can sit on the stove. After an hour or so, use a hand/immersion blender to puree all solids. 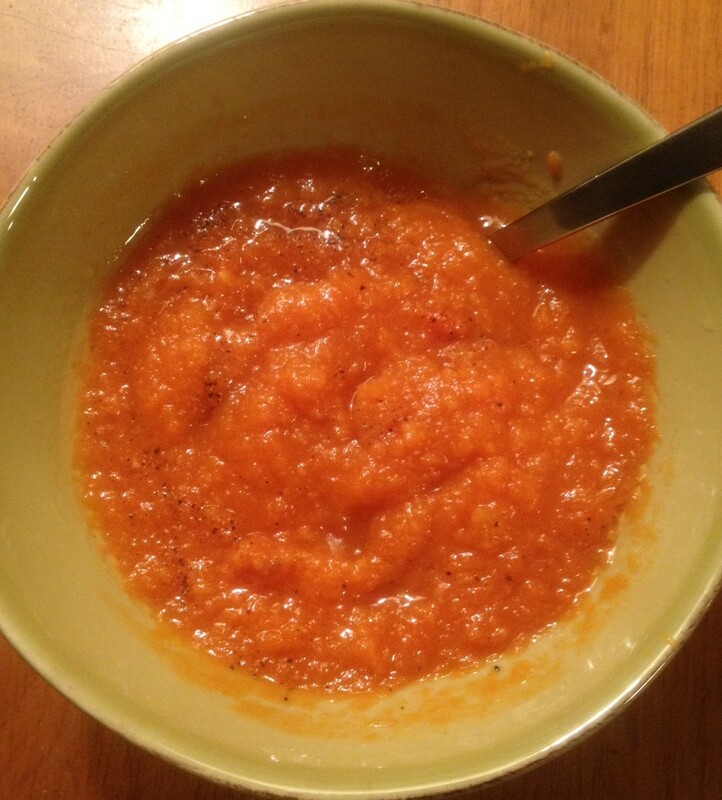 If you do not have an immersion blender you can pour the soup into a blender in batches until it is all pureed. Serve immediately or store for later use. This is an extremely easy and healthy recipe which I often like to use to jump start my spring cleanse. Bring Lentils, Broth and 6 Cups of water to a simmer in a large stock pot. Once simmering reduce heat to medium low, cover, and simmer for five minutes stirring occasionally. 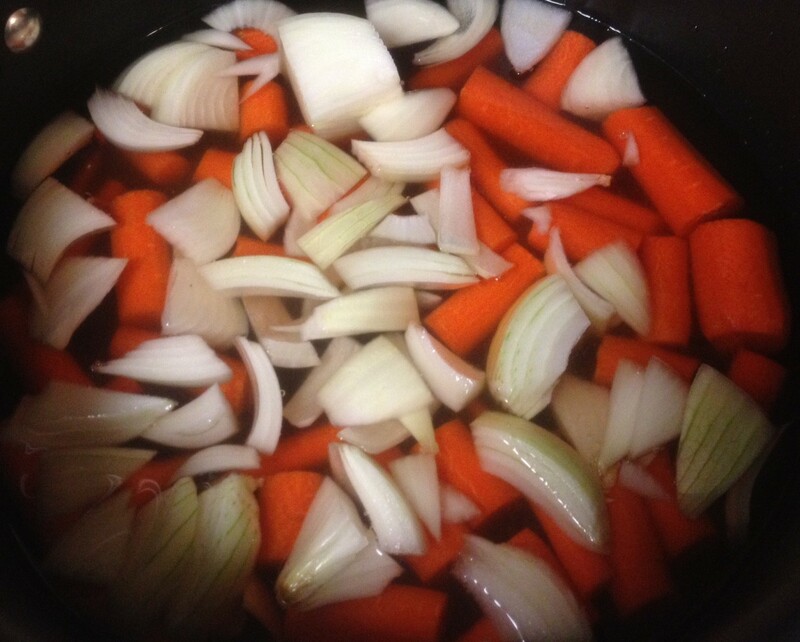 Add Onions, Celery, Carrot, and Garlic, Stir in and simmer uncovered for 20 minutes. 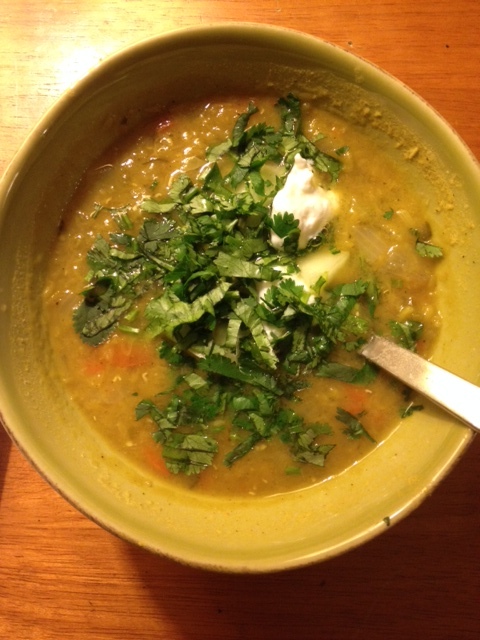 Then add Cilantro, Curry Powder, and Cumin and cook for another 20 minutes or more until Lentils are soft. Season with Salt, Pepper and Lemon juice and serve! Or pre make this and store it in your fridge and allow the flavors to strengthen over time! I served this with Greek yogurt, fresh Cilantro, and brown rice for a filling meal. Heat Olive Oil in large soup pot over medium heat. Add Tomatoes, Carrots, and Celery and cook for another 10 minutes. Add Stock/Broth and Basil, and bring to a boil. Once boiling, reduce heat and allow to simmer covered for 1 hour. Add Red Cabbage and Zucchini, cover, and let simmer for another 20 minutes or so. Add Sea Salt and fresh ground Pepper for taste. Remove from heat, and serve garnished with toasted bread, Parmesan cheese, or some Basil Pesto if you like! I didnt add anything and was still impressed! I was worried this would be bland, but the taste was good and got better over time! So simple and easy to prepare and leaves you with a ton of soup to eat throughout the week or store in your freezer for a cold day! Also due to the simple and all natural ingredients, this soup is detoxifying and cleansing for your body (as long as produce used is organic) and left me feeling full but healthy throughout the week! 1. Wash, peel and cut carrots and onion into chunks. 2. Place vegetables and salt in a pot. 3. A dd water or broth and bring to boil. Cover with a lid. 4. Simmer on low heat for 25 minutes. 5. Add chopped ginger and let simmer for another 5 minutes. 6. Use an immersion blender and puree all ingredients. If you do not have an immersion blender you can use a regular blender to puree in batches. 7. Sprinkle with pepper (or parsley if you have any), serve and enjoy! I made this because I am spring cleaning my body and am trying to eat as naturally as possible. Ginger is a great healing root that can do wonders for your body as it has many essential nutrients that help our bodies stay well through immune support, detoxification, digestion support, anti inflammatory and antioxidant properties. Therefore I used raw ginger in this recipe instead of the ginger juice that was recommended. If you are not into a strong ginger flavor I would encourage you to start out with a smaller portion than the recipe calls for as you can slowly add the ginger while pureeing so as not to be too overpowering. For a free health and therapy consultation! Find me at www.lisaresnickholistictherapy.com, call me at (215) 469-1855, or email lisaresnicktherapy@gmail.com. I am located in Haverford Pa and Philadelphia PA at Main Line Counseling & Wellness Center.